Now in paperback from the award-winning author the New York Times Book Review called “a national treasure,” a fascinating, wholly original book about Pat Nixon that is also “a fully realized account of fiction, fiction writing, and the fiction writer” (The Boston Globe). The rare First Lady who did not write a book, Pat Nixon remains one of the most mysterious and enigmatic public figures in recent history. 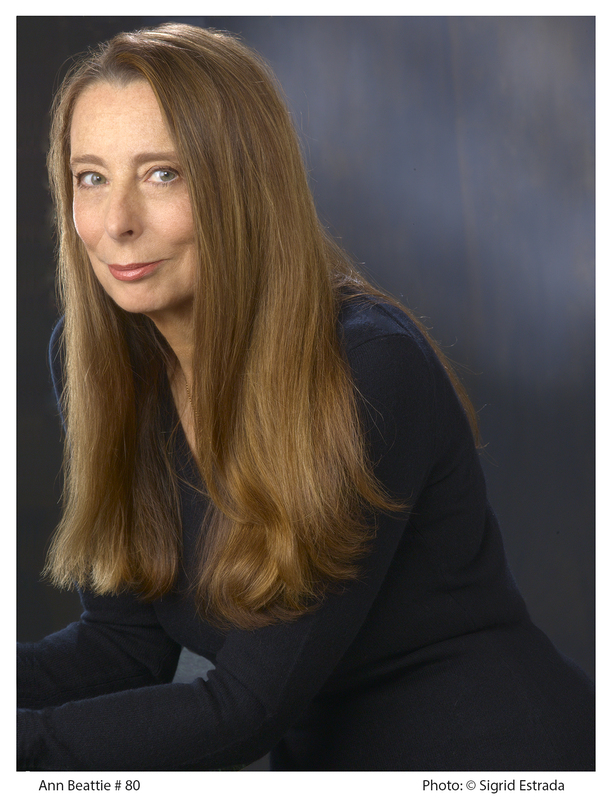 Ann Beattie, like many of her generation, dismissed Richard Nixon’s wife. Decades later, she wonders what it must have been like to be married to such a spectacularly ambitious and catastrophically self-destructive man. Beattie, a professor of writing at the University of Virginia, uses the elusive persona of Mrs. Nixon to examine how writers create characters, how they use detail, and what drives their storytelling. Like Stephen King’s On Writing, this fascinating and intimate account offers readers a rare glimpse into the imagination of a writer. 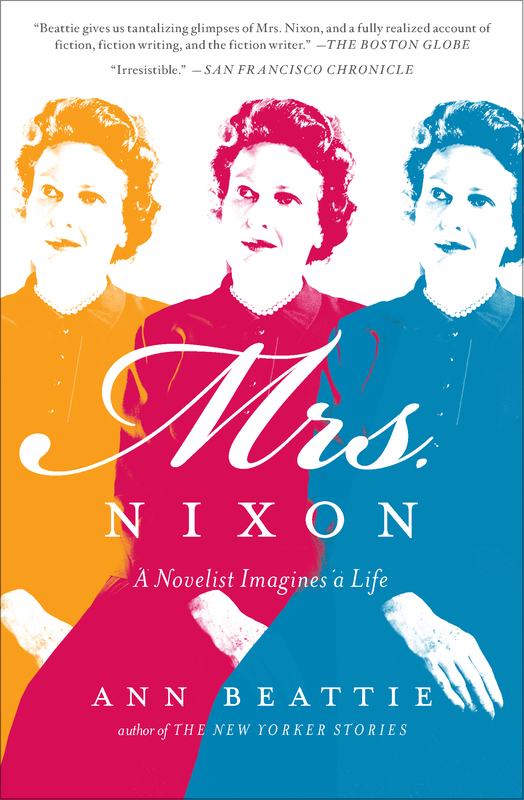 A startlingly compelling and revelatory work, Mrs. Nixon is an insightful and humorous examination of the First Couple who occupied the White House as the baby boomers came of age. “ ‘Hello, Mrs. Nixon,’ Roger Ailes said. “She nodded. She had known him for months. “ ‘How did you like the show?’ he asked. “She nodded very slowly; her mouth was drawn in a thin, straight line. Mr. Ailes is a loyal supporter, but these people can be a bit naïve. Or: It pleases Mr. Ailes very much to think he’s found the way to elicit a positive response from me. Why should I comply just to please him? Mrs. Nixon (before she was Mrs. Nixon) had many nicknames, and one of them was Buddy. She liked the nickname because she felt her given name did not suit her. It’s hard to imagine that anyone would be thrilled to be named Thelma. Her mother insisted on naming her that for reasons unknown. The baby’s father—who maintained she had been born later than the time of her actual birth—called her his St. Patrick’s Babe in the Morn (soon shortened simply to Babe). As far as I can tell, she was born somewhere near midnight the day preceding St. Patrick’s Day, 1912, though that doesn’t really detract from her father’s fondly effusive Irish feeling. Babe lasted for quite a while as a nickname, though Buddy intruded in childhood. Buddy suggests a tomboy, and perhaps any girl who grew up on a farm and did chores and took the dusty world as her playground would seem tomboyish, but as with so much about Mrs. Nixon, new and reliable information recedes with time. Upon entering college, Thelma became, at her own behest, Patricia, then was referred to as Pat, carrying her about as far away from someone else’s intention about her identity as most people dared go in those days. Buddy. Names, nicknames, they’re fascinating to writers, but they also cause anxiety because they’re so elusive, and because writers have to come up with so many of them. Few people have a gift for the perfect name or nickname, and many such adult monikers are given without the victims’ awareness. Henry Kissinger, for example, called Haldeman and Ehrlichman “the Fanatics.” (H. R. Haldeman was Nixon’s Chief of Staff; John Ehrlichman, Assistant to the President for Domestic Affairs.) Children have to accept their names, at least until they can protest. I don’t know how Mrs. Nixon felt about being Buddy. Bottom line, most of us only really want nicknames invented by those we love. My husband has so many nicknames for me that it’s lucky we don’t have pets. When he calls, I answer to most anything: that day’s nickname will undoubtedly be something I don’t recognize except for the tone. The only time I stop dead is when he calls me Ann. When he addresses me directly, I’m in trouble. Thelma/Buddy/Pat may have answered to even more names, but we’ll never know. I think of her, though, as Mrs. Nixon. Perhaps Richard Nixon thought of her as Pat or as some endearment we don’t know, such as Fuzzy Bunny, but when he referred to her, it was usually as Mrs. Nixon. An egoist like Nixon would of course see people as extensions of himself, so that when he was referring to his wife he was implying a certain dignity, insisting upon the respect he felt was inherent in the position she occupied (thanks to him). Since he often spoke of himself as “he,” which is much more bizarre, it’s understandable that he would refer to his wife formally. He thought aloud and liked to fabricate stories, and if he hadn’t been president, many of his fictions would be highly hilarious, but you’re stopped from laughing about this dissociation when you realize that he had control of the “red telephone”—its nickname is the only way it’s referred to—and that when he was drunkenly wandering the corridors of the White House talking to the portraits hung on the walls (according to Edward, a.k.a. Eddie, Cox, his son-in-law), one of them might have answered and told him to go make mischief by holding down the little button. In thinking aloud, he often used the expression “and so forth” as a kind of shorthand for what didn’t need to be elaborated—especially since he was often talking to himself. He was his own best audience, and his predictable gestures, his distinctive mannerisms, must have felt like reassuring forms of applause, replacing the usual hand clapping. Nixon—like many politicians—while often in the presence of other people, was essentially talking to himself. He devised stories for others to tell, whether or not they were the truth, then played devil’s advocate, becoming first the lawyer for the prosecution, then for the defense, because he was a lawyer, and that is the way lawyers think. He did this out of the courtroom, however, and got to keep the witnesses as long as he wanted, or to dismiss them instantly, whichever seemed more advantageous. He was accustomed to hearing his own voice; others lay buried in the landslide of words. He is reported to have made fifty-one phone calls in one night during the Watergate mess—though that was certainly a worse quagmire than most of us ever experience. In their feints and dodges, Nixon and his players exhibited a versatility that equaled the range of professional actors. A later leader, Ronald Reagan, would be wittily described by Gore Vidal as “the acting President,” but Nixon may have outdone him in the projection of personal fantasy. Often, Nixon elaborated scenarios he knew would never materialize, tacitly encouraging the listeners’ imagination, then revealing his own opinion. The outlandish CIA operative and pseudonymous mystery writer E. Howard Hunt put on a red wig to go off on assignment—or what he understood to be an assignment, or imagined to be one because he considered his thinking superior to that of those who might give him an assignment—while also understanding that playing the crazy could not really hurt him. Truly crazy people would buy into his game, and the people who weren’t could always dismiss him if things backfired. When not helpful, Hunt was a wild card that could be discarded in the fast and loose nonrules of the game: he was—you know—not quite right. As covert operatives, E. Howard Hunt and G. Gordon Liddy, the caterpillar-mustached leader of the White House “plumbers,” were like Rosencrantz and Guildenstern run amok. Jonathan Schell writes that Liddy thought it would be a good plan to hire expensive prostitutes to “lure Democrats to a yacht rigged with secret cameras and recording equipment. The cost would be about a million dollars. [Attorney General John] Mitchell found the plan too expensive, and rejected it.” The government was presided over by a president who was most at ease when he could consider many possibilities and all their variables; what might sound comical and sophomorically contrived to most people would always seem to him truly unique, viable options. John Belushi, had he come along a bit earlier, could have led the way—as almost any of his characters but perhaps most helpfully as Samurai Chef. But we have come far from Mrs. Nixon; such drift seems endemic to writing about the quietly loyal and enigmatic Mrs. Nixon. It is difficult not to leave her behind, when the madness that surrounded her eclipsed her so thoroughly. She knew that Haldeman did not like her, and she did not like Haldeman. He was not even respectful of formalities. He excluded her. Travel schedules were drawn up that simply did not include her. Nothing suggests that she was happy about her husband remaining in politics, but rather that the opposite was true. However, she was used to taking care of things, herself included. Her mother died when she was thirteen, and her father died soon afterward. Mrs. Nixon’s daughter Julie recounts a story in which Mrs. Nixon, leaving her mother’s funeral, “walked directly over to her friends and said quickly, ‘Didn’t she look beautiful?’ ” Mrs. Nixon was telling her friends a story, not asking a question. She was making a preemptive strike, taking command (or appearing to take command) of the situation and offering a remark that, while uninspired and conventional, also asked a hidden question: Won’t you believe me?—because I am at risk if you don’t. When people believe, Tinker Bell gets to spread her magic. There’s something awkward or even painful for the recipient of such platitudes: the content is of course unremarkable—that is precisely the person’s intention—but the storyteller is silently asking for collusion, for an acceptance of this story as it’s recited, as opposed to the real story, so that the real story doesn’t have to be told, or emotionally registered. In stories, there are two components: what the story is, and how or why it is told. Those things often create the friction in what we’re reading. It is usually only through time, or with dropped hints, however, that we can tell someone is an unreliable narrator. Unreliable narrators, of course, do not necessarily know they’re unreliable. They can be genuinely ill-informed or simply mistaken, as well as being schemers. When we’re reading a work of fiction, the question becomes: does the writer believe this narrator? Lesson one in book club is probably not to assume the voice in the book reflects the outlook of the author. Even quite sophisticated readers can be thrown off by who they think the writer is, though—always a liability for an author, as well as something the writer can capitalize on; paradoxically, once an author is known, there’s a temptation to conflate his or her personality with the character’s. I once thought about Felicia’s Journey: William Trevor must be writing about someone who is a nice old man, and who therefore can’t have the ominous undercurrents I’ve started to sense, so it has to be my paranoia. The gentleman, like Trevor himself, would no doubt be a benign creature. It’s a good trick, to throw off readers because of who they—the writers—seem to be, but it’s not a trick writers can pull too often. I didn’t anticipate what was coming in Felicia’s Journey because of my unconscious stereotyping of the author, and what his fictional world was likely to be. Are we familiar enough with Mrs. Nixon to think that in framing her mother’s death as she did she hoodwinked her audience, or herself? Does any author speculating on Mrs. Nixon need to decide whether she creates her one-sentence story with great craft or naïve simplicity? If the undershirt is wet, then it follows that he is sweating, so we accept the sweat rolling. If he sits on a step with an empty glass instead of a full glass, he’s watching the shadows in a different way than he would if he had a drink, so, okay, they “fill up the yard” (shadows are doing what the liquor is not doing—there’s none in the glass). He makes two conventional gestures: stretching and wiping his face. Then we move a bit outside him—he moves a bit outside himself—and he’s reminded /we are reminded that there is a larger world, a world of “traffic on the highway.” We’ve moved from something small and personal, how he feels in his damp shirt, to not knowing how he feels exactly (he doesn’t tell us here), but we register the other people driving cars (a loaded subject in this story, given what his wife has set out to do) on the big highway, with their inherently metaphorical connotations. This is already a lot to keep track of, though nothing much is happening overtly: we’ve moved from the personal to the larger world, but a world that is nevertheless eluding the character. We go from close-up to long shot. We are considering him from a lot of angles, so it may even come as a slight relief to know that he’s doing some considering, too. Except that in completing this sentence—as opposed to the ones that have come before—we would not have anticipated this explicit revelation: “He listens to the traffic on the highway and considers whether he should go to the basement”—and then the sentence surges, gains too much speed—“stand on the utility sink”—so far, a possible yet strange inclusion—“and hang himself with his belt.” He is not thinking in the abstract, and we had no way to outguess the thought he was formulating because it does not logically unfold. “He understands he is willing to be dead.” We had no idea this was at stake. Perhaps Leo did not understand, either. Perhaps, following his own thoughts, there was an internal emotional change analogous to a tonal change and—chillingly—his realization makes him able to step outside himself, seeing inside the same way the reader does, now. The last sentence might elicit a nervous laugh from us, since we’re plodding along with Leo, and what does this guy in his undershirt understand that we wouldn’t be able to think circles around? And then we get our answer. Time stops. The paragraph ends. Wherever we go from here, we will go knowing that the stakes are different, and that we were lured into something we thought almost ploddingly banal, only to find ourselves facing mortality. No one could infer from Mrs. Nixon’s conventional “Didn’t she look beautiful?” that the stakes are as high as they are in the Carver story. But we can’t make the mistake of feeling superior to Leo or Mrs. Nixon, both capable, in the hands of a capable writer, of catching us off guard. The premonition that we are willing to be dead is available to all of us. Writing a story is different from telling a story, but if we omit detail while things brew beneath the surface, the reader usually picks up a sense of what those missing details might be, and what they might mean, by the tone. In person, you can tell if a storyteller is excited and connected, or perplexed and removed. We have the benefit of facial expressions, we often have a history that contextualizes the person speaking (as we come to have with writers whose fictional worlds we become familiar with), we’re more in the world of theater than the world of prose. But a writer like Carver isn’t going to stop to give you the character’s expression (monotonous movement or the lack of it creates its own dynamic; Carver got this, in part, from Beckett), and he isn’t going to jump to the point, either, the way our friend might lead up to a punch line. Carver is more interested in how one gets to that point, and he works like a camera, moving around his character, seeing from different angles. This technique is handled so subtly, though, that you don’t realize you’re moving with the camera’s eye. You’re in motion, and when you stop it’s because you’ve been stopped the way Wile E. Coyote stops, suspended over a canyon’s thin air. Mrs. Nixon’s remark about her mother’s corpse looking beautiful hardly has the complexity of Carver’s short story. As reported, it’s a one-liner that really consists of only the punch line, complete with implicit instructions from Julie Nixon Eisenhower on how we are to react to her mother. But I don’t hear it the way she has instructed me to, and I doubt many people would. You feel the tension, or even the terror underlying the emotion. She’s playing against emotion. Breezy was a word of the period. You don’t hear it much anymore. Mrs. Nixon was being a bit breezy when she phrased her statement as a question. She wanted to get away as quickly as possible—away from the people she addressed, as well as from the upsetting reality of the situation. Interesting that she married a man who could leave almost nothing untouched, rethinking everything, playing devil’s advocate with himself (or any angels who might be converted), always second-guessing both real and imaginary adversaries. She married a man who shared her anxiety about expressed emotion: he arrived at ideas and conclusions (those times he ever arrived) by dissembling, hypothesizing, imagining stories that would be told, rather than getting as close to the story as he could and elucidating its substance. He believed everything in the world could shift at any moment. This is not a little boy to whom you would have wanted to give an ant farm. When he had the power, he insisted upon being the camera, making his audience move. He used words to superimpose one story on top of another. By the time he had concluded his half thoughts and ellipses, his curses and his hypothetical scenarios, he’d shaped a ball of twine into a cat’s cradle so dense, even he could not escape. We needn’t make him analogous to Carver’s Leo, with his wife offstage, unable to witness his realization that he is willing to be dead. But in David Frost’s famous TV interview of March 1977, we find out that Nixon, forced by the press’s vigilance about the Watergate break-in and Americans’ increasing desire to lay the blame at someone’s feet to ask for Ehrlichman’s resignation, told his faithful subordinate he’d hoped he wouldn’t wake up that morning. If we trust this particular narrator, Nixon was willing himself to be dead.